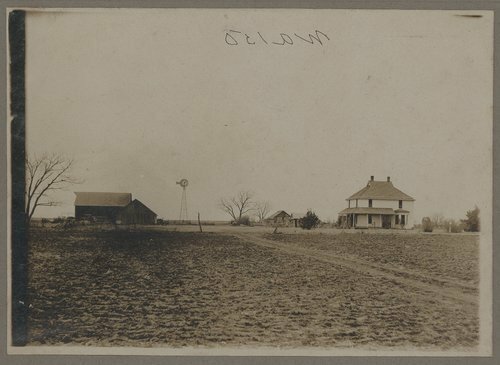 This is a photo of the George Tilton & Iva Higgs Wasson farm in Viola, Sedgwick County, Kansas. The family moved to the farm from Farmington, Illinois in 1907 when their son Roy was 7 years old. The 160 acre farm was sold in 1945 for $40,000.